Look at this little Lady. Isn’t she the cutest? I know Mom, Dad and family are excited to see the photos so here’s a little peek from her newborn photography session last weekend. 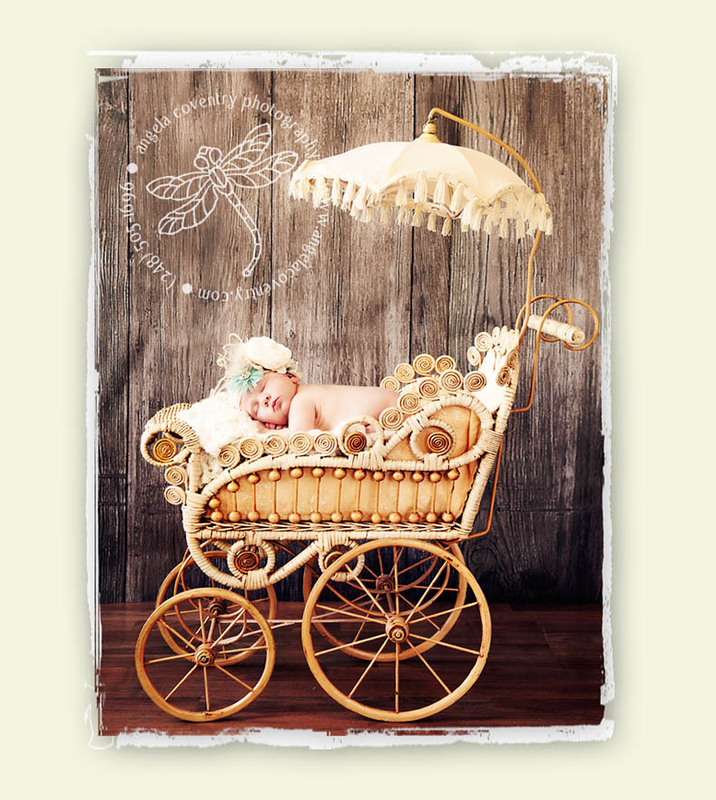 My Aunt gave me the antique stroller and I couldn’t wait to use it when Lily came to the studio for her newborn pictures.